Today marks the one year anniversary of the e-book Letters to Grief by Kate Motaung. Kate’s book is a book of essays about grief that will bless all because we all experience grief throughout our lifetimes. To celebrate the one year anniversary, Kate is hosting a special link-up of Letters to Grief. Little did she know that this week has been all about grief for me and so many of my friends. Would you please go away? I have been immersed in you this week. My dear seminary friend lost her battle with cancer earlier this week and all of us; her mat-carriers are scattered far and wide. 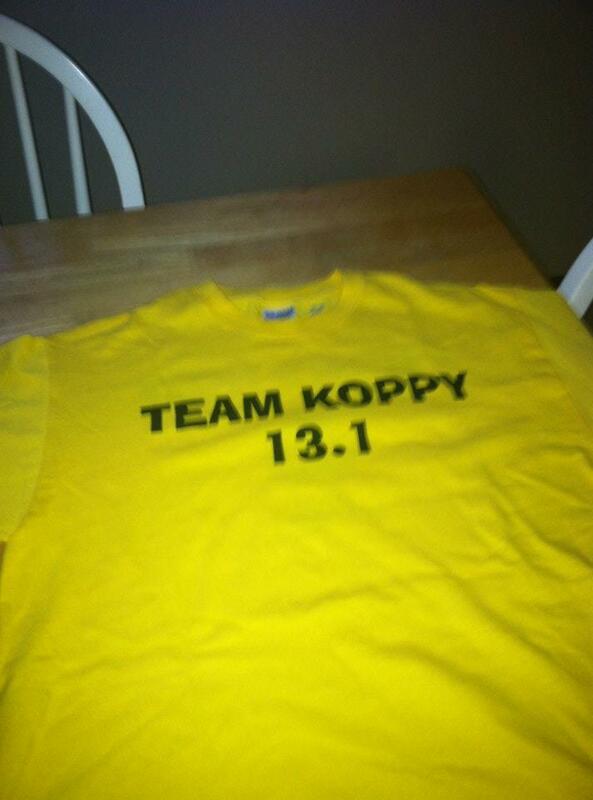 We all are grieving as a community and it isn’t fair. It isn’t fair that Laura’s girls have now lost both parents to cancer. It isn’t fair that we didn’t get to say goodbye. It isn’t fair that a life was taken too short. Growing up on the prairies of North Dakota, I have experienced the effects of the prairie winds. And you, grief, often feel like that prairie wind. Sometimes you blow in so gently like on Monday when the tears gently fell from my face as I read the news of my friend’s passing. Or sometimes you blow in more like a winter storm leaving the affects of a strong wind behind. And other times, you blow in like a light breeze before a summer rain. Sometimes that wind leaves me drenched after a summer rain leaving me uncomfortable. Other times that wind blows in so strong that I feel as if I am drowning. And other times, I am left just a little damp or even dry. No matter what type of wind and how wet I find myself, I find myself trying to escape the depths of grief; yearning to throw off those wet clothes of grief. Grief, not only, are you like those ND prairie winds, but you also are like mountain climbing. Some days I find myself clawing my way victorious to the top of Mt. Grief. Other times, I find myself slipping, sliding, and falling down that same mountain trying to climb my way out of the depths of grief. And other times, I find myself simply holding on for the ride…hoping and praying that I will come out on the other side a changed person. And yet other times, I find myself panting for breath wondering if I will be able to breath again. The sun was streaming in through the windows of my house. At 2:15 pm, I opened my phone to her website and clicked on the link to watch the live stream of her memorial service. I watched as Jason and their children walked into the sanctuary. I listened to the musicians play beautiful music. And I especially listened to the words that were spoken at the beginning of her service. A man (I am not sure who exactly he was) came to the microphone and said “Welcome.” But then he proceeded to share how that seemed so impersonal. Because Kara was one who would take your hand and put it over your heart, entering you into her heart. And just as Kara was taking hold of your hand and placing hers over yours, her hand was also being quietly grasped into your heart and you didn’t even know it. Those words that he spoke are so true. I may never have met Kara. But through her words, through her vulnerability, through her heart, I got to know this beautiful child of God. A child of God who ventured to share even the hardest darkest pieces of her life. And because she shared her story with so many of us, she indeed grabbed our hands and placed them over her heart and at the same time entered into our hearts. And because she shared her whole story, many around the world gathered to laugh, to cry, to mourn and to grieve this beautiful child of God this afternoon. Tears streamed down my face as I listened to Kara’s memorial service. But then it was 2:45 pm and I needed to leave. I grabbed my shoes and slipped them on. I grabbed my car keys and walked outside. The sun was beating warmly across my face silenting reminding me of the beauty of this world. I opened my car door and sat down. I placed my phone in the cupholder and drove to the hotel where my friend and her family were staying. The whole time Kara’s memorial service played on my phone. I pulled up to the hotel. I turned off the livestream; wishing I could listen more but knowing that the video would hopefully be uploaded later. Before I went into the hotel, I wiped the still wet tears from my face and reflected for a moment. Then I walked through the front doors of the hotel, turned left, went down the hallway and turned right into the pool area. I found my friend sitting at the table and her daughter happily playing in the swimming pool. I haven’t seen this friend in quite a while so we sat and visited while her daughter played. While we chatted, I watched the children and families all playing so happily. Deep inside, my heart was breaking for Kara’s family as they were at that same exact moment saying goodbye to their beloved wife and mother. But I also know that because of Kara’s own words and own examples that she would want me to be with those near and dear to my heart. She would want me to continue to “love them hard” so that is exactly what I did. It was a simple thank you, but it is one that I believe many of us are saying to her and to her family because she shared her whole story with us. May we too, in the mundane days of faithfulness, remember to love big, to be vulnerable, and to share in the midst of even the hardest darkest places as well as in the most joyful places. 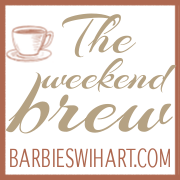 I am linking up with Barbie Swihart for the Weekend Brew and with Anita at Blessed but Stressed for Inspire Me Monday. 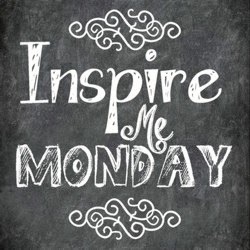 I will be linking up with Kate Motaung on her blog this coming Monday. In conjunction with the release of her E-book Letters to Grief, Kate is asking us to blog on, “If you were to write a letter to grief, what would you say?” So here is my letter…. You find a way into my head and my heart especially during this holiday season. I am reminded of all the wonderful Christmases we had at Grandma and Grandpas, but now they are both gone. My heart aches as I want to talk to my Grandpa and bend his ear as he was such a wise man. I want to hug them both so tightly again. It has been 8-10 years since they have passed but I miss them each and every day! But the reality, grief, is that I don’t just experience you through the death of a loved one. I experience you through the loss and grief of a parent who lives each day with a mental illness. I love spending time with Momma, but there are so many things that you try to take away from me. You make me angry when I wonder who will hold my hand and go with me wedding dress shopping when I find that Mr. Right. You make me angry as I yearn for the days that I can carry on a longer conversation with her. You try to take away my hope; my hope of sharing grandchildren with her. You also have a way of taking away all of the sparkle I feel when I am with her. I cannot even begin to tell you how many tears you have made me cry; tears that are so heavy; so heavy that you take my breath away. And as I think about these things, grief, I realize that you are the one who is in control most of the time. And I don’t want you to be in control. No, I need you not to be in control! I want to treasure all the time I have with my Mom. I want to talk to her about boys even if she maybe won’t be able to go wedding dress shop with me. And I realize that one way or another, I will have someone special with me to share in those precious moments with me. I want her to become a Grandma because I know that is something she dreams of and yearns for so deeply. Grief, yes, most of the time, you are the one who is control because you fill me with such anger. But today I am choosing not to let you diminish my hope. Because grief; my old friend, I am not going to let you have the final word. But rather am going to let God have the final word. Pets hold a special place in our heart, don’t they? My sister and I have had many pets throughout our lives. My sister had a cat named Butterfinger and I had a cat named Rocky (named after Rocky Balboa. Our Dad came up with that name!) Butterfinger and Rocky were wonderful pets. My sister currently has two cats: Oreo and Tigger. Also after Mom and Dad got divorced, we decided that it would be a great idea to get Mom a special companion. Her special companion was a beautiful white fluffy cat named Marshmallow. Marshmallow became such an important pet in our lives. She kept Mom company when Mom was alone. And when my sister and I came to visit Mom, Marshmallow was ready to play. She loved playing with Christmas wrapping paper and ornaments on the Christmas tree. I’m pretty sure she knocked Mom’s baby Christmas tree over a few times. Marshmallow also loved running circles in Mom’s house too. 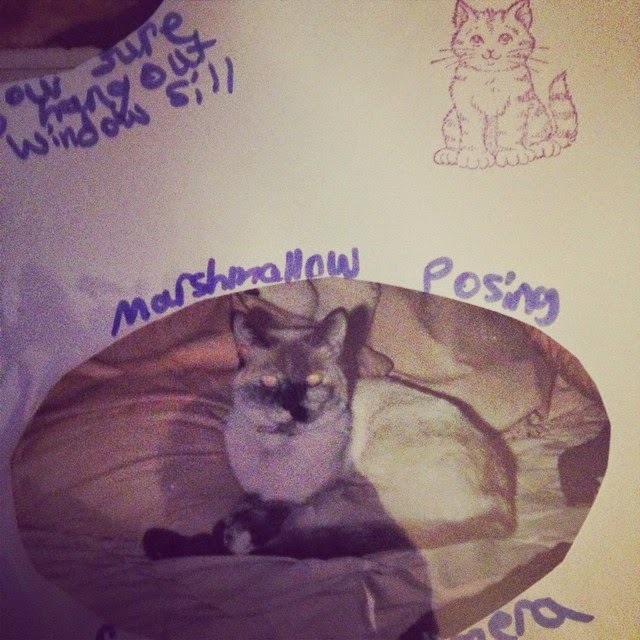 Marshmallow lived with Mom until Mom moved into the nursing home. Then she moved in with my sister until my sister started college, then Marshmallow moved in with our aunt and uncle. This evening (Monday night) my sister and I got a text from our Aunt letting us know that when Uncle B came home from lunch, he found that Marshmallow had passed away in her sleep. 🙁 Marshmallow has lived a good life. My sister and I figure she was somewhere from 15-20 years old meaning she lived way beyond what cats are expected to live. I am not looking forward to telling Mom the news about her special companion, so prayers for that conversation would be much appreciated. Rest in peace, dear Marshmallow! We love you! I think I will leave it at that for today. Have a blessed Sunday friends!! 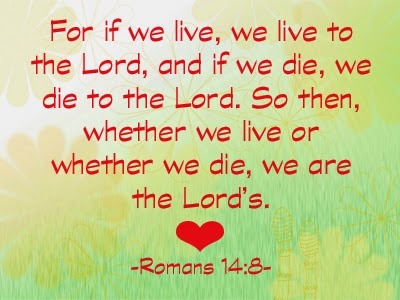 This verse is a verse that I often turn to when someone passes away….especially when the death is unexpected. I turned to it when my friend Renee lost her husband Ben in the Haiti earthquake. I turned to it when people I love have left this earth. I even turned to it when Mom was laying in the intensive care unit my senior year of college. In the last month, a dear seminary classmate and friend received the word that she has cancer. The cancer is progressing fast. Hospice has been called in and honestly, she is in the final days of her life. So very hard to utter those words or even type them on a screen especially when I spent time with Karen and her BFF Barb this summer at the Lutheran Academy of the Rockies. Karen’s daughters have been keeping everyone updated on their Caring Bridge website which is a beautiful reflection of their relationship with their Mom. This morning’s post brought tears to my eyes as I read about Karen’s daughter Kris taking care of her. Kris mentioned how everything is coming full circle. As a baby, Karen cared for her infant daughter Kris and now Kris is caring for her Mom in the same way; bathing her, feeding her, etc. Life has a funny way of turning full circle on us, doesn’t it…life and death, life and death, life and death! Kris’s words shed light on what it means to care for those we love; for life to come full circle and to grieve when we need to grieve.As a daughter of someone who daily lives and struggles with a mental illness, at times, I have found myself having a hard time holding onto the “rollercoaster” of life. The rollercoaster doesn’t give us any warnings and let us know when it is going up or coming down! It is very scary to hold on, be vulnerable and share our story with those near and dear to us. Yet sometimes that is exactly what we need to do….hold on for the ride as unpredictable as it can be. Today I am thankful for Karen and her family; what she has taught them and what she continues to teach them; and for the love she has shown them and continues to show them. I am thankful for Karen’s friendship and all those who have been blessed by her friendship. I am simply thankful for Karen…yet my heart is sad too! And as I read and listen to Karen’s daughters words, I am reminding myself to continually show love to all those who are near and dear to me; especially my momma. In the midst of Mom’s illness, I will care for Mom in the ways she needs me to care for her even when I am tired and weary. I will sit on her bed when she needs me to and hold her hand. Because she cared for me…there are times when I will need to care for her as well! During my seminary days, one of the classes I took was on “Loss and Grief.” For the class, we had to write a paper on loss and grief. I chose to write my paper on the “loss and grief associated with mental illness.” In my research, I came across a book that talked about how many churchs have so many board and care facilities for those who daily live and struggle with mental illness in the “shadows of their steeples.” That phrase has stuck with me over the years. What if we did a better job of caring for and even praying for these individuals? Growing up, prayer was important to me but it truly wasn’t until I graduated high school and went to work at SuperAwesomeBibleCamp that I realized how essential and vital it was to my life. It also was this holy place where I discovered that writing poetry was, for me, a form of prayer. (I have always been a writer but it was here that it took on a new meaning and purpose for me!). In February of 2001, Mom had a huge setback. Her lithium (a drug she takes for her illness) level got too high which caused her kidneys to shut down. (And if you remember from the last two posts, she has lived in a assisted living/nursing home since then). I was sitting in my dorm room when I received a phone call from the hospital at about 10 pm. I knew that it couldn’t be good news because it was after ten pm. They proceeded to tell me that mom was in ICU. After I hung up the phone, I went downstairs and sent a prayer request email to family and friends asking them to pray. I knew that I could count on them to pray for Mom and my family. I wasn’t in my room but a few minutes, when my dear friend BD (or as I like to affectionately call him “the little brother I always wanted”) called me. He prayed with me on the phone and even had me laughing a little by the end of the call. A holy prayer moment I will never forget. Mom has been quite healthy for awhile, but I always find myself praying for her happiness, her wholeness, and so much more. This past August, I found myself turning to my “prayer warrior friends (a group of three dear friends plus me). I received a phone call saying Mom just wasn’t herself. They ended up bringing her to the town where I live. I met them at the ER and I asked my friends if someone could come with me. I have spent sometime in the hospital with mom over the years, but I still don’t feel the most comfortable going there by myself. My friend E was able to come with me. My friend E sat with me in the emergency room and prayed with Mom and I. Even as she was admitted, I found myself clinging to the prayer “The Lord’s Prayer” we said together that evening. It was hard to see Mom sick because she hadn’t been in the hospital for so long (at least 5 years). Now Mom is home and doing so very well. But it was those “prayer warrior friends” prayers that got us through that night and the next week. Another holy prayer moment that I won’t soon forget! As the daughter of someone who daily struggles with a mental illness, I appreciate and acknowledge how important prayer is, but I also know how important it is to seek proper medical care. Yet prayer is a gift that can bring hope to those who daily struggle with mental health issues. As my friend and I sat in the emergency room with Mom and prayed the words to the Lord’s Prayer, I could see that those words were bringing comfort to her. Growing up I never experienced much death. I don’t remember attending a funeral with my parents. I do remember others getting out of school for a grandparent or another family member’s funeral. I remember thinking I was fortunate to still have my grandparents etc in my life. Then that all changed. My dad’s dear friend lost his wife. 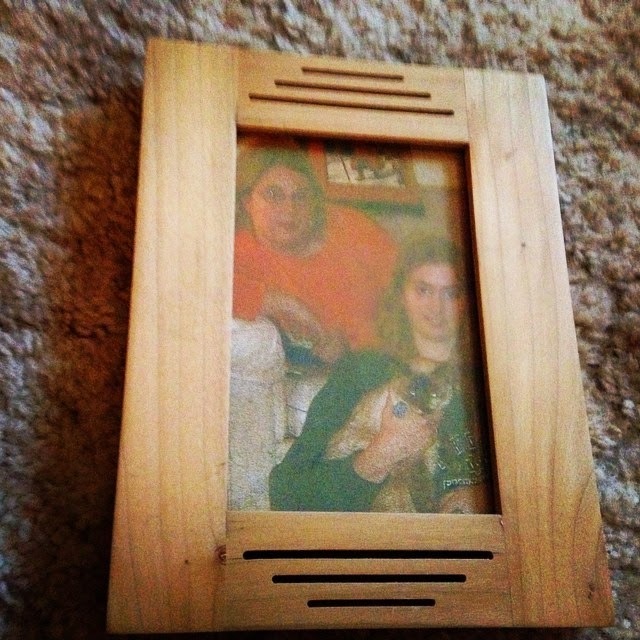 My good friend lost her mother. I remember walking into that sanctuary with my family. I remember feeling many raw emotions. My friend’s mom was so good to my mom; a dear friend who was always there for us and none she was gone. And like my friend I had many questions; What happened? Why did she die? After that experience it was several years before I experienced someone in my life dying. This time it was my grandfather. I remember driving hours and many miles so my mom and I would be at the funeral. I remember seeing Grandpa laying so still in that casket. I remember crying and grieving the loss of this dear person in my life. I remember at the cemetery laying the urn next to his own mom and dad! Almost five years ago, my best friend was laid to rest. I remember picking up my phone and hearing the words from her mom. I miss her every day. And then about three years later we laid Grandma to rest as well. And then over the last couple of years my cousin has had to lay her little children to rest as well. In January of 2010, I wept and mourned as I heard about the Haiti earthquake. My friend Renee was there with her husband and her husbands cousin. And soon we learned that Renee’s husband Ben had lost his life. A life cut way too short. I found myself grieving for Renee but also grieving for the losses she would experience because of Bens death. These beautiful saints are blessings in our lives and I am glad that God placed them in my life. I’m thankful for all that they taught me. And so today I say thank you for these saints in my life; these saints who now from their labors rest; Renee, Sam, Bess, Maia, Jack, Arlys, Mandy, Shan, Ben, Reinie, and so many others.